Diverticulitis symptoms are more common for adults over the age of 60 and typically include abdominal pain, constipation, nausea, vomiting, diarrhea, and fever. These symptoms are the result of an infection or inflammation of the diverticula, which are small pockets in the lining of the colon. Diverticula are caused by increased pressure in the bowel from gas, waste, or fluids. Symptoms occur when these pockets bleed, become infected, or rupture. The formation of diverticula is fairly common, especially as people age. These sac-like pockets develop in the naturally weak spots in the colon that give way under pressure and push through the colon wall. This condition is called diverticulosis and sometimes will include no symptoms at all. Diverticulitis results from tears in the diverticula that cause inflammation and infection. If left untreated, diverticulitis can lead to complications such as rectal bleeding, abdominal infection, and colon obstruction. Though mild diverticulitis may not pose great health risks, it is important to see a healthcare professional. Antibiotics may be prescribed to help ease symptoms and to treat possible infection. Medical professionals will diagnose complicated diverticulitis if a patient has a bowel perforation, abscess, fistula, or a bowel obstruction. Surgery is sometimes required to repair these complications and may be recommended if a patient has suffered multiple episodes of diverticulitis. Increase fiber consumption. Fresh fruits, vegetables, and whole grains will soften your waste materials and help them to pass more smoothly through the intestines. Drink plenty of water. Consuming increased amounts of water can help maximize the positive effects of added fiber in your diet. Exercise regularly. Exercising as little as 30 minutes each day helps promote healthy digestive function and relieves some of the pressure inside your colon. If you are bothered by symptoms of diverticulitis, don’t hesitate to stop by your local FastMed Urgent Care. You can simply walk in and find compassionate medical professionals ready to help you. 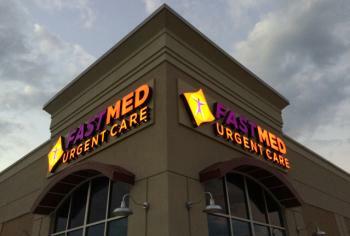 FastMed Urgent Care provides care that is high-quality, quick, and affordable. We pride ourselves on the efficiency of our offices, and we strive to get you in and out of the clinic in under an hour. Contact us today if you are suffering from symptoms of diverticulitis. We accept all major insurance plans, including Medicare and Medicaid so review our Insurance page to verify that your specific plan is accepted.